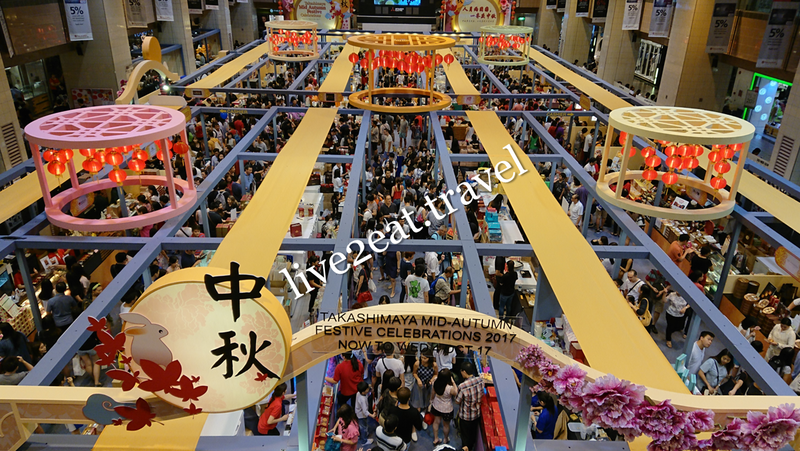 It is the time of the year again, to visit Takashimaya Mooncake Fair. Loved Shangri-La Hotel's handcrafted silk boxes with pearl buttons as handles to pull open drawers of mooncakes, and Peony Jade's baked premium mother of pearl white lotus paste with melon seeds mooncake. New flavours from the latter include mini snowskin mango mousse, passion fruit and coconut as well as mini snowskin crème brûlée and blueberry cheese. Not only are Sze Chuan Court by Fairmont Singapore's snowskin and baked white lotus paste with single yolk and macadamia nuts mooncakes shaped like peaches, its boxes (except the premium mooncake box) is also shaped like a peach. Reminiscent of the spice trade along Singapore River in the 1800s, Summer Palace by Regent Singapore's mini- and regular-sized mooncakes are individually packed in round and square metal tins respectively inside a carry-and-go pine wood box. I liked its mini snowskin signature black sesame paste mooncake but found the baked white lotus paste mooncake a tad sweet. Man Fu Yuan by Intercontinental Singapore's baked low-sugar white lotus paste with macadamia nuts was still sweet. Similarly, Grand Hyatt's baked white lotus paste with roasted melon seeds mooncake could be less sweet though I liked its baked sesame lotus paste with double yolk and bamboo ash mooncake. For not-too-sweet offerings, consider Li Bai Cantonese Restaurant by Sheraton Towers (I thought its baked skin was a tad bitter) and The Ritz Carlton. The former also introduces 3 new flavours this year, all mini-sized – baked salted egg custard, snowskin white lotus paste with strawberry sea salt truffle and snowskin green tea white lotus paste with passionfruit truffle. I also liked Tai Cheong Bakery's baked black sesame with melon seeds mooncake, and Hilton Singapore's mini snowskin black sesame with hazelnut praline mooncake but not the snowskin D24 durian and lychee chocolate truffle flavours. Oh, and Mid-Autumn Festival falls on 4 Oct this year. 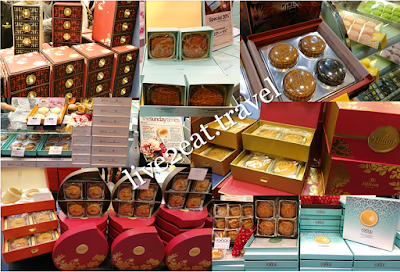 You may also be interested in Mid-Autumn 2012 – Mooncakes Galore, Mid-Autumn 2013 – Part II, Mid-Autumn 2014, Mid-Autumn 2015 and Mid-Autumn 2016.